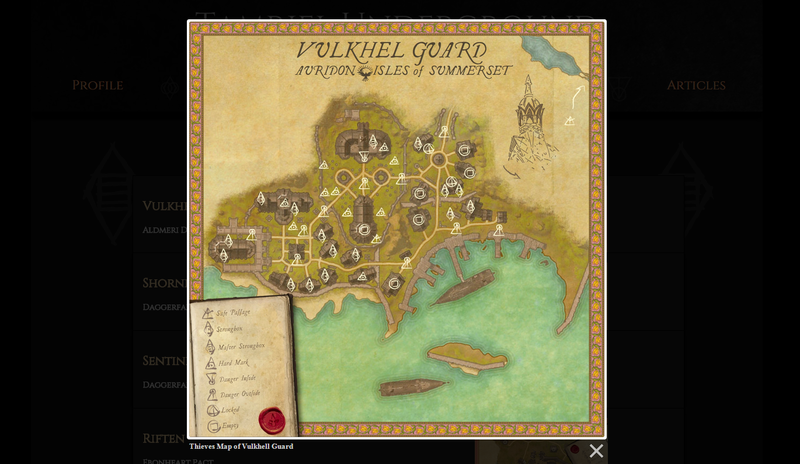 I've been working on a fan site lately; a home for the Thieves and Scoundrels of Elder Scrolls Online to gather and share news. 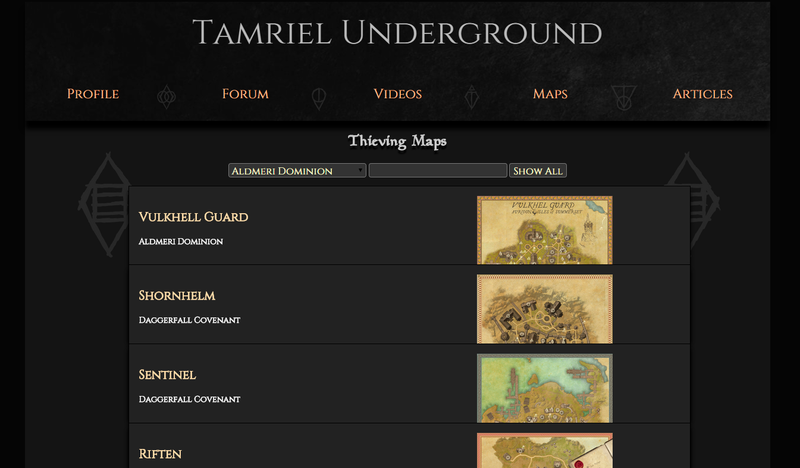 Tamriel Underground is a members only site for the Thieves of Tamriel to share tips, tricks, maps and guides. It will be a place to post Thieving challenges and share your exploits. Currently only the Maps Tab is active, and I've taken maps from the Rogue's Folio (by reddit users /u/anemonean -- props) and uploaded them and organized them to be refined and searched on. You can view the maps in a list, and refine them at the top or use the search bar to refine the list down to what you are looking for. Once you click on the map image you want, it pops up in a lightbox, letting you see the full map. The website is in it's early phases, and there isn't a lot of content at the moment, but the plan is to create a massive collection of all of the best Thieving tips and tricks and to keep away all those pesky Guardians that will eventually be trying to steal our secrets. Come join The Underground, where the night is your friend and stealth is your weapon.